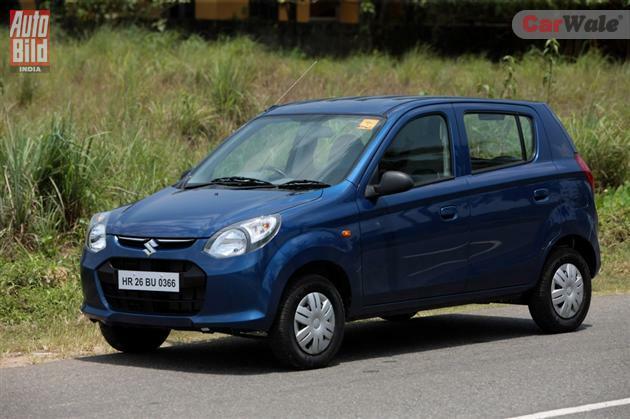 TNI Bureau: India’s largest passenger car maker Maruti Suzuki India Ltd today unveiled the much-awaited Alto 800. The car is priced at Rs. 2.44 lakh and comes with an 800 cc engine, which can churn out 45.7 bhp of power at 3500 6000 rpm and a maximum torque of 69 Nm at 3500 rpm. The CNG variant has been priced at Rs 3.19 lakh to Rs 3.56 lakh with a fuel efficiency of 30.46 km/kg. While the petrol version of the Maruti Suzuki 800 provides a mileage of 22.74 km per liter, the CNG version travels 30.46 km per kg. The car is available in six colour options such as –Frost Blue, blazing red, Torque blue, Granite grey, silky silver and superior white. The new Alto 800’s harmonious yet slick design packs quite a punch with the unique “Wave front” design. The smooth long curves, the prominent wheel arches and wider lip adds to the side stance. The car sports Unique “Wavefront” design, sloping window lines with a swaying roof, the Jewel-finish rear combination lamps and pleasant design on the back door and petal shaped headlamps along with stylish grille and bumper. Flat torque curve prevents frequent gearshifts. The Alto 800 comes with optional driver side airbag and uses high strength steel that provides for better occupant protection.